Noble bottle tree is an arbor, and it originates in South China; cultivation of the plant in Canton, Guangxi, Fujian, Yunnan, and Taiwan has a history of more than 800 years. Besides China, it also grows in India, Vietnam, Indonesia, Malaysia, and Japan etc. The fruits of noble bottle tree are as big as dove eggs; the seeds are wrapped in red legumens, and they would crack when the fruits are ripen; the seeds look like a bird opens its eyes, thus it get its Chinese name. The seeds of the plant are not eligible when unripe, and could only be eaten after steaming. Its flavor likes that of Chinese chestnuts, and are rich in starch, protein and plant fats etc. In the famous ancient Chinese novel, "Traveling to the West", when the emperor of Tang Dynasty treated the monks who had come back with Buddhist lections from their pilgrimage, noble bottle tree is a one of the major courses served. Noble bottle tree also has medical effects: it's said that, when a famous minister, Hai Rui, was ill, his friend sent him a case of Noble bottle tree, and he soon recovered after eating them in soups. Noble bottle tree gives off a light aroma and is especially loved by the farmers in Huizhou of Canton. Noble bottle tree has a broad canopy and a beautiful shape. It has very good functions in providing shades and is suitable for transplant in gardens or beside roads. Its wood is hard and could be used to make furniture. The liquid of the tree is rich in resin and is a raw industrial material widely used. The fibers of its bark could be used to replace hemps; its legumen could be used as medicines, and could cure dysentery and vomiting etc. 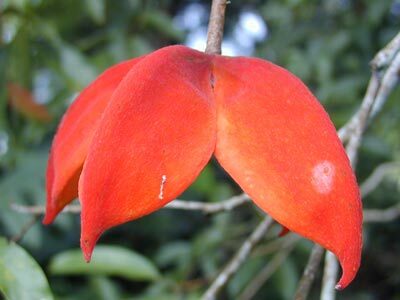 Noble bottle tree is easy to breed and easy to survive by inserting branches into the earth.